Alex specialises in complex and serious children cases; both private law and public law. In particular those involving; intractable child arrangements disputes, internal relocations and leave to remove from the jurisdiction, serious emotional abuse, child fatalities and significant injuries and serious abuse with disputed medical evidence and often with linked criminal proceedings; allegations of sexual abuse; including false allegations; and factitious illness. He also has extensive experience in Inquiries both Public and Part 8, e.g. currently representing Lambeth BC and Leicestershire CC in the Goddard Inquiry, representing one of the local authorities in the Climbie Inquiry, being Counsel to the Isle of Man Commission of Inquiry into the Care of Young People. He was instructed by the children in reputedly the longest running care case in English legal history; the threshold hearing lasting for some 5 months. He regularly advises local authorities on policy issues. Alex also advises the media in relation to various aspects of family law. Alex regularly lectures at family law conferences eg at Dartington Hall. for Jordans and at seminars and provides training for judges (through the Judicial Studies Board), solicitors, psychiatrists and social workers. Alex Verdan QC is without doubt one of the best, if not the best, barrister specialising in high calibre private children law cases. “A calm, almost laconic exterior camouflages a razor-sharp intellect, encyclopaedic knowledge of the law and a rapier-like Court technique. Alex is much loved by his clients Also by many of their spouses: until they realise that they have been gently mugged by his subtle, deadly cross-examination technique. 1. A very approachable style. As a solicitor one feels welcome to contact him as and when needed without having to send formal instructions. He is flexible, responsive, and easy to contact. At the same time he is respectful of the solicitor’s role and relationship with the client. 2. His client handling skills are very good / superb. He is gentle and sensitive but doesnt pull his punches where needed in explaining risks / possible adverse outcomes etc. “I have had the pleasure of working with Alex on a number of difficult and complicated children cases over the last few years. He has a calm and measured court room manner which makes him a firm favourite with the Judges. He knows the law, does not take bad points, is always very well prepared and is very good at empathising with clients. He has a good sense of humor and is a pleasure to work with. I am confident that if I instruct Alex on a case my client will receive a first class service. Alex is one of the best QC’s at the Family Bar who specialise in this area of law and I commend him to anyone who is in need of his expertise. “I had the good fortune to be recommended Alex Verdan’s professional services via a legal adviser. During what proved to be a highly complex and extremely difficult case, Alex was faultless in every sense. His understanding of the matters at hand, grasp of the case load overall and management of all professionals concerned was commendable. From day one, I was put at ease as a client – at no point did I doubt for an instant that Alex was anything less than 100% in control – in private conference his manner is reassuring and comforting, whilst always laying out the balance of issues, giving an overview to me as the client. “A cool head, an exceptional advocate and a great tactician. “Alex is a dream barrister. He is expert in his subject of children law, he speaks with authority, he wins his clients’ trust and he is very easy to work with. What I most enjoy about working with Alex, and there are many things, is the attentiveness which he brings to cases. Ideas are treated with respect, questions promptly responded to, expectations managed sensitively, and clients made to feel that they and their views are important. Alex is also trained as a mediator and a collaborative lawyer, the skills of which he transfers with ease to his work as an advocate. Head of chambers and indubitably a force in the field of children law. His caseload sees him handling matters concerning the most severe and complex of children issues. He has expertise in everything from the most serious public law issues to the placement of high-profile people’s children. Head of chambers and indubitably a force in the field of children law. His expertise encompasses all issues, including the most severe and complex of children issues, and he is routinely instructed by the top family firms. Negotiates a highly touted children law practice, and receives great praise from his peers. He has more than two decades’ experience in both private and public law proceedings, and has handled numerous cases involving complex international considerations, allegations of significant physical injury, and the death of children. Recent work: Represented appellant parents in the Supreme Court in a case relating to risks of future psychological and emotional harm. 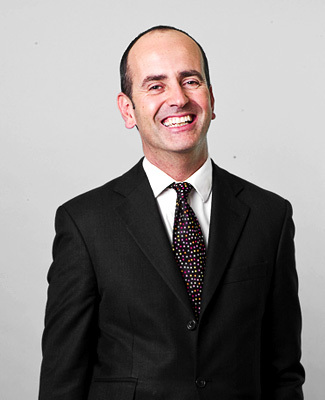 Alex Verdan QC exhibits ’emotional intelligence when dealing with clients’. Alex Verdan QC is instructed in the most complex children cases, both public and private in nature. Observers applaud the “clarity of thought and delivery” of this barrister. The “calm and measured” Alexander Verdan QC is widely admired for the “clear and articulate advocacy” he applies to his children-related work. Although grounded in public law work, he is handling increasing amount of private children work. Recommended as a Leading Family Silk in the area of Children in Chambers & Partners 2008. “Complex cases are all to familiar to Alex Verdan QC…he was involved in the Climbe Inquiry and is the toast of many a local authority and guardian”.